In many industries, summer is the worst possible time to market. Hiring managers go on vacation. 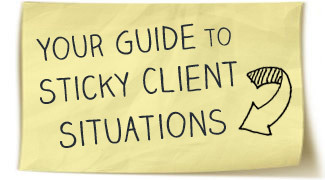 Your clients’ businesses slow down. The whole world seems to chill out as the weather heats up. Should you sit back and relax too? Successful small business owners know summer is secretly the perfect time to get your business in order, plant seeds for the future, and position yourself to have business rolling your way when things pick up. When you have 15 or 20 minutes to spare, pick a task from the list. It’s like the high school summer reading list for small business owners. Work through the whole thing at your own pace and when fall comes, you’ll be ahead of the rest of the class. Even the most world-renowned opera singers have voice teachers. In business, you can always hire a coach, but a mentor is free, becomes more personally invested in your success, and will offer their own connections. Message five business or website owners whose advice and progress you respect and compliment or thank them for how they’ve inspired you so far. If you have something to offer at this stage (like a useful contact), all the better. Spend 15 minutes cruising your email for potential clients that fell through the cracks. Maybe they expressed interest and then disappeared. Maybe they were about to sign a contract and had funding issues. Drop them a quick, no-pressure note (sample below) to stay on their radar. Things may have cleared up or they may have a new need or project you’re prefect for. Cruise think tanks, associations, and industry publications for new research to spice up your marketing. Look for stats that demonstrate the benefits of your services, such as how they contribute to your clients’ bottom lines or productivity or help your clients succeed with their own clients. Work you’re new found stats into your website’s services page and your prospecting materials. What’s the hot book in your field that you should be reading for personal development this summer? Do some googling or check the recommended books listed with other classic tomes of your trade, and invest $15 or $20 in yourself and your business. Put the e-version of the book on your phone or e-reader so you can soak up new ideas during micro-breaks this summer. Your local library might even have a copy for you to pick-up at no cost. LinkedIn endorsements are a sort of testimonial that serves another marketing purpose. Each time you’re endorsed, it appears in your network members’ news feeds, keeping you top of mind with prospects and past clients. There’s no way to ask for endorsements, but spend 15 minutes endorsing people you’ve worked with (clients especially, but collaborators too) to nudge them to do the same for you. Endorsements make you look competent and popular. Find five complementary service providers. If you’re a personal trainer, think nutrition specialists; writer, look for designers; life coach, research in-home organization specialists. Google “profession + your town/area” and pick professionals whose persona you gel with. Send them a simple email (template above) asking if you can be on each other’s referral lists. Besides new projects, you may find an unexpected partnership. In today’s Yelp- and Tripadvisor-fueled climate of crowd-sourced recommendations, a testimonial page is almost as important as a contact page! But in the spirit of marketing where your prospects are, it’s time to take your testimonials to your clients. Pick your favorite (or email some recent clients and ask what they enjoyed most about working with you), pull out the juiciest sentence, and stick it in your email signature. So many of us fall into the trap of taking the work that comes to us, whether we find it through referrals, connections, or job ads. Make a list of your dream clients and hit LinkedIn, “our team” pages, and google to find the best contact for each. If you can find one person’s email address on the company page, copy the email format ([email protected], etc.) to get your contact’s email address, or google @company.com and the contact’s name. Devote 15 minutes to fixing up frequently occurring things that drag down your day and productivity, also known as tolerances. Has your computer gotten slow? Set it to defrag this evening. Doing invoices by hand? Download that invoicing software you’ve been putting off getting. Send lots of emails to the same group of sub-contractors? Set up email lists for your most frequently contacted groups. The most important way to prepare for when your clients are ready to begin new projects is to have your marketing tools written, polished, and ready to go with all the analysis paralysis out of the way. Find your favorite marketing email and freshen up the language with a fall time peg. Draft emails to each person on your new target client list, and set a reminder on your calendar to push them out after the labor day holiday. Do everything but hit send. Being present where your prospects are is the crux of effective marketing. With the growing ubiquity of LinkedIn for finding qualified professionals, you’re shooting yourself in the foot if you don’t max out its potential. Stuff your profile with keywords (the example above is a perfectly acceptable practice) and join the maximum 50 relevant groups. You’ll rank better in search and have more 3rd degree connections from these quick tasks. Add (or update) and FAQ page on your businesses website. Glance through your early communications with clients to see what questions or clarifications come up again and again and cut and paste your answers into a visually interesting FAQ (the blockquote HTML tag is great for this). You’ll not only inspire confidence in prospects, which will see that you are a serious professional with experience, but save yourself time answering the same questions in the future. Inquire about speaking at a local small business event or your industry’s professional association conference o get your name and business out there with free advertising. Event organizers are always on the hunt for new, thought-provoking speakers, but be clear about what you bring that helps their audiences. If you ask what they’re looking for, you’ll likely get free advice about exactly what talk to pitch. Use a digital or analog (notebook and pen) system to track how you spend your time on a “normal” day for two days. Identify one thing that kills your productivity. Maybe you do the laundry during your work hours since the kids are away, but the interruption keeps you from doing meaty work. Or your blog software keeps glitching and locking you out, wasting an hour every day. Shell out a little or see if your family can pitch in (even young kids can start helping with chores). Do you know the respected professional organizations in your field? Are you a member? If you’ve putt off joining because of the expense, carve out space in your budget and take the plunge. You may need to attend a local event to find a sponsor, but take the first step today. If you’re already a member, how can you be more visible and active? Join a committee, volunteer your services, or inquire about spots on the board. Which one are you going to start working on today?